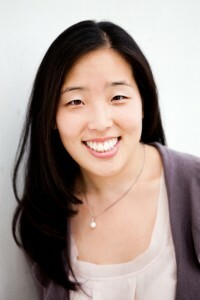 Cecilia Hyunjung Mo holds a Ph.D. in Political Economics and an M.A. Political Science from Stanford University; an MPA in International Development from Harvard University; and an M.A. Education from Loyola Marymount University. During the 2015-2016 academic year, she was a W. Glenn Campbell and Rita Ricardo-Campbell National Fellow and the Robert Eckles Swain National Fellow at the Hoover Institution, Stanford University. First, she is interested in understanding democratic citizenship and the development of informed interventions aimed at meeting contemporary challenges. The health of a democratic polity rests upon the public possessing a sufficient level of trust in government, political efficacy, civic engagement, tolerance, and respect for human rights. Her research centers on how the norms and values of democratic citizenship can be cultivated; and on both understanding and responding to the following challenges to democratic citizenship: (1) group-based intolerance; (2) irrational political participation; (3) modern day slavery; and (4) poverty and inequality. Professor Mo has published research in the American Journal of Political Science, the American Political Science Review, the Journal of Politics, the Journal of Theoretical Politics, Political Behavior, the Proceedings of the National Academy of Sciences, and World Development. She is the recipient of the American Political Science Association (APSA)’s 2015 Franklin L. Burdette/Pi Sigma Alpha Award for the best paper presented at the previous year’s annual meeting and the 2016 Best Article in Political Behavior award from APSA’s Elections, Public Opinion and Voting Behavior Section. She has also been awarded over $1.6 million grant dollars to support her research agenda in the last three years.